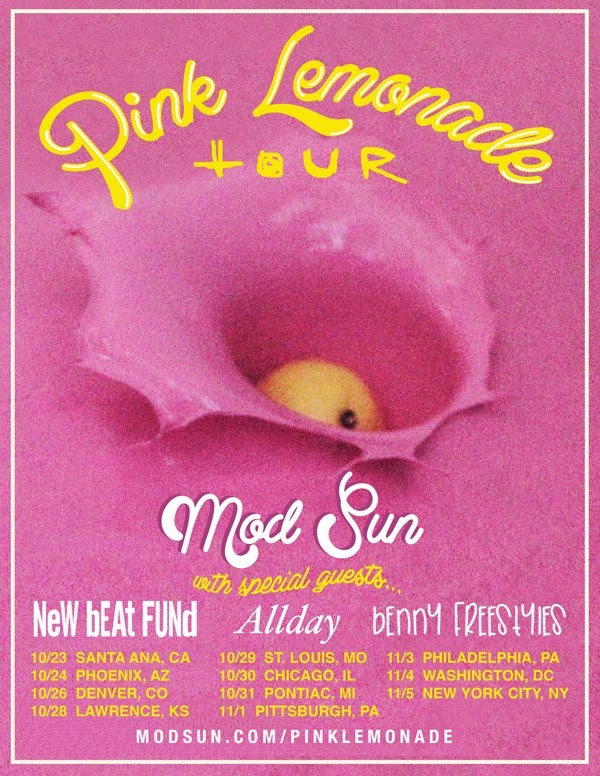 MOD SUN Announces the Pink Lemonade Headline Tour – Ouch That Hertz! 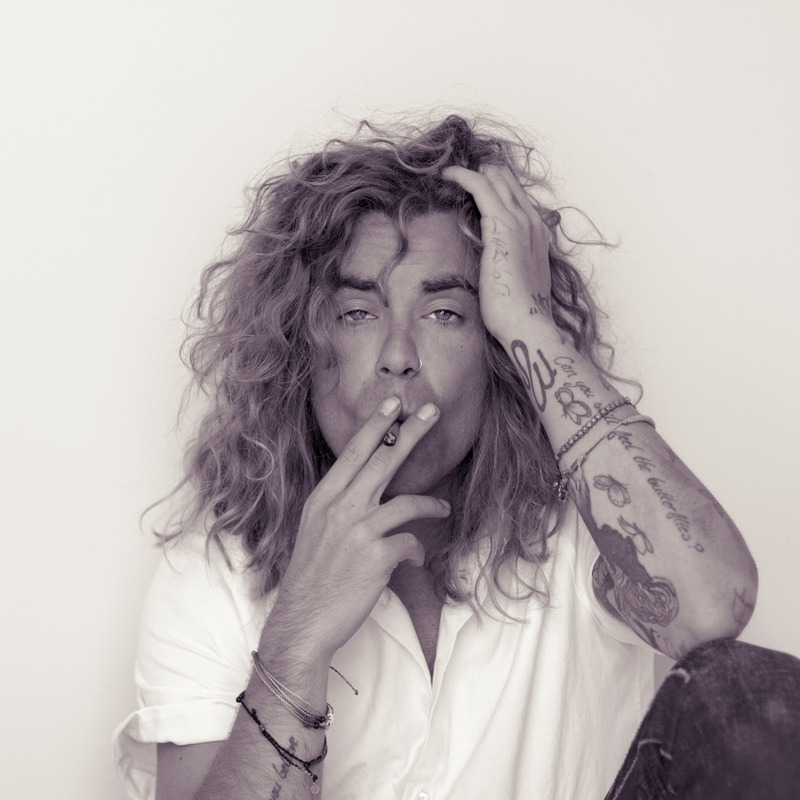 With his signature blend of contagious, positive and explosive energy, artist/musician Mod Sun will headline an 11-city fall headline trek, dubbed The Pink Lemonade Tour, featuring support from Los Angeles rockers New Beat Fund, who combine sunny surf-rock with elements of hip-hop, garage-pop and west coast punk, Australian “love rapper” Allday, and Rhode Island indie hip-hop artist Benny Freestyles. [You can view the tour flyer and the full list of dates below at the end of the article]. The tour will find Mod picking up where he left off after a triumphant summer on the Vans Warped Tour, where he performed in front of record breaking crowds, racking up rave reviews along the way. Dates kick off on October 23 in Santa Ana, CA and winds down on November 5, at New York’s storied Webster Hall. Immediately following The Pink Lemonade Tour, he will embark on a headlining European tour, promoted by Live Nation. Dates for the European run will be announced shortly. Mod recently unveiled his latest music video for the vibrant and colorful single, “Free Love,” via Youtube. The uplifting and free spirited track appears on his self-produced LP, Look Up, which in addition to being available in the US, is now available in Australia via iTunes, Spotify and Google Play. [You can check out the music video for “Free Love” below at the end of the article]. The prolific rapper, who has released a steady string of EP’s, singles, and mixtapes since 2009, has also collaborated with artists such as Schoolboy Q, Nipsey Hussle and Ab-Soul.